"Interior of Our Lady of Good Help Church, Mapleville, R.I." by Peter L. Creighton, Harrisville, R.I. 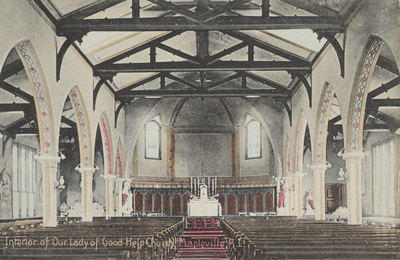 Interior of Our Lady of Good Help Church, Mapleville, R.I.
Peter L. Creighton, Harrisville, R.I.
Peter L. Creighton, Harrisville, R.I., "Interior of Our Lady of Good Help Church, Mapleville, R.I." (1915). Rhode Island Postcards. 403.